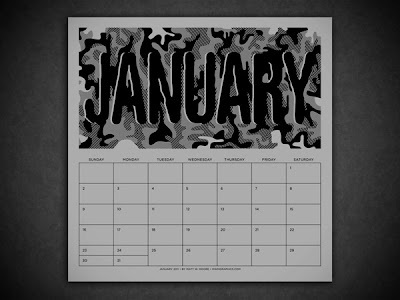 MWM NEWS BLOG: 2011 Calendar Desktop Wallpaper. 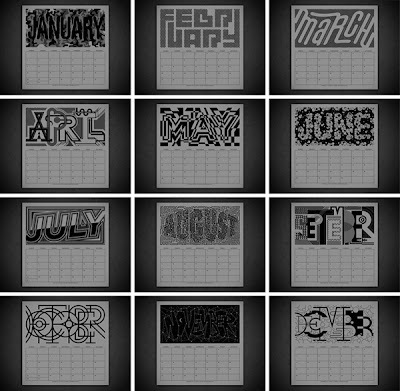 The B/W Typography 2011 Calendar I produced was a huge hit. It sold out quick so I decided to make some Free Desktop Wallpaper Downloads for everyone who was unable to get a printed copy. They're available in three screen sizes (1600, 1280, 1024) and tinted a dark grey that's easy on your eyes. Happy New Year!